Step 1. Identify your risk factors. Hurricanes can be strong, destructive forces with devastating impact. The best chance of keeping you and your customers safe during a storm is knowing what you’re up against and taking the necessary measures to protect what matters most. Hurricane season begins in June and lasts through November. 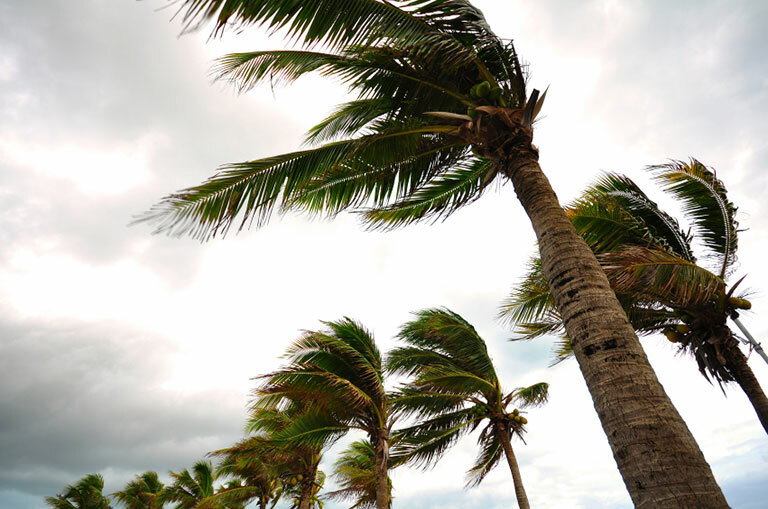 During a hurricane, winds can exceed upwards to 74mph, or higher, leaving a devastating path of destruction in its wake. A Category 3 storm or higher is considered a major hurricane, and if you’re in a coastal region, you may experience damage. We want to make sure you’re prepared before storm season, so we’ve put together five helpful tips for hurricane readiness. Step 2. Evaluate your coverage. Review your coverage details and know exactly what‘s covered and what isn’t, then make sure it fits your needs. If you don’t have insurance coverage, contact your insurance agent to discuss ICAT’s comprehensive plans. Tip: Keep an active inventory list of all the items in your house to help you determine what kind of coverage you’ll need. Step 3. Make a safety plan for your home and/or business. Create evacuation routes and safety protocols to help you stay calm and be prepared during a disaster event. Discuss where you will go in the event your home or business is under mandatory evacuation before a hurricane. Tip: Find your state’s emergency management agencies and offices ahead of time. Step 4. Create your own survival kit. Gather the main necessities like water, non-perishable food, batteries, flashlights, first-aid kits and any other essential items you think you may need (battery chargers, medications, cash or traveler’s checks, matches etc.). It’s important to stock up on these items in the beginning of storm season. Once a hurricane is approaching, stores tend to run out of things like bottled water, batteries, canned goods, lighters, etc. quickly. Be sure to fill up any spare gas cans in case the gas stations run out. Tip: Here’s a list of other items you may want to add to your survival kit. Step 5. Protect your home or business from the inside out. Inside: Are there any valuable items in your basement or ground floor areas that you can bring upstairs or store above the ground? Place any important documents or family photographs you don’t want ruined in a waterproof container. If you have an emergency generator, double check that the gas tank is full and stored safely away from open flames or heat sources in a garage or shed. Before the storm is expected to make landfall, lower and secure storm shutters and board up windows with plywood and nails. Outside: Performing routine maintenance checks to clear out any potential outdoor hazards can help you prevent damage to your home or business. This can be as simple as trimming trees, cleaning your gutters, removing debris and clearing drains. It’s also best to secure all outdoor objects or move them inside. During a hurricane, visit the ICAT Active Storms Page for the most up-to-date information on the storm, and be sure to follow us on Twitter and like our Facebook page. During storm, it’s imperative that you remain calm and wait until your area is declared safe by officials before you attempt to go outside. Once the storm has passed, take a deep breath. Be sure to document any damage—take photos and videos and file claims with your insurance company as soon as you can. Recovering from disaster is a gradual process that requires patience and perseverance. Read more about this on ready.cov.